Preheat oven to 450 degrees. 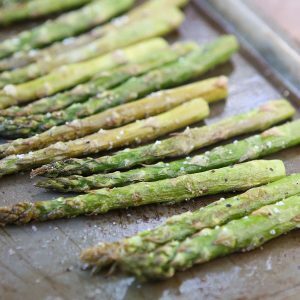 Place asparagus on a baking sheet. Drizzle olive oil over asparagus, then using your hands give them a quick toss to spread the oil. Sprinkle salt and pepper. Cook for about 12 minutes or until slightly browned.